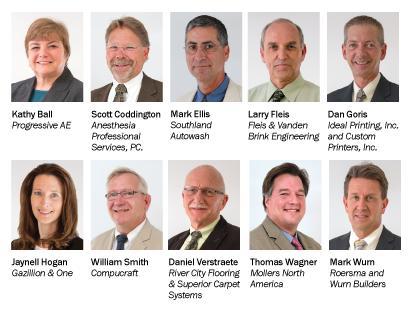 News from LMCU: Introducing our Business Advisory Council! Introducing our Business Advisory Council! LMCU’s Business Advisory Council is a group of experienced and high-profile commercial clients who meet with LMCU upper management semi-annually to discuss and consider current West Michigan economic trends, the impact of these trends on growth, retail operations, and product development. These meetings provide an informal format for business leaders and LMCU to share ideas and concerns while learning best practices from each other.